The loss of the headphone jack on the Pixel lineup meant there was no way to use wired headphones and charge your phone at the same time. While there are plenty of goofy-looking adapters for the iPhone that give you a headphone jack with power pass-through, no such adapter has been available for Type-C Android phones - at least not any that worked well. 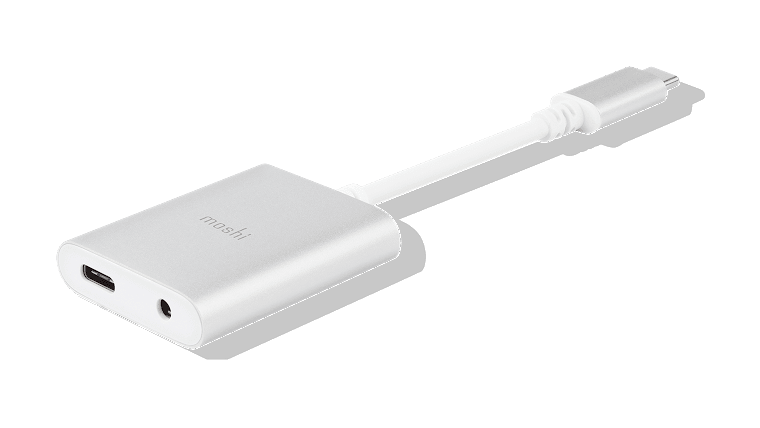 Moshi, an accessory company, tried to make one such adapter last year for the Pixel 2. It received poor reviews on Amazon, with many buyers citing issues with audio static and charging speeds, and the Google Store listing was pulled earlier this year. Moshi is now back with a second-generation adapter, which is already available from the Google Store and Moshi's website. The dongle costs $40, and it claims to output high-resolution 24-bit/96 kHz audio from its headphone jack. Moshi says the adapter supports USB-PD 3.0, but a charging speed is not listed. Going by how well the last model worked, I'd wait for reviews before buying one. SAN FRANCISCO--(BUSINESS WIRE)--For the second year in a row, Moshi is announcing new accessories developed under Google’s Made for Google (MfG) program. 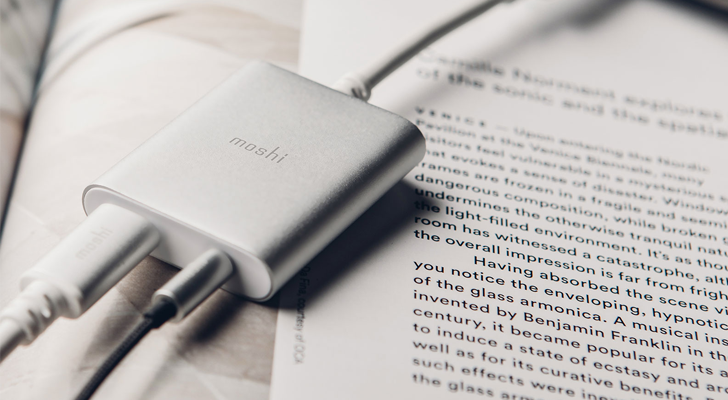 The highlight for this year’s launch is Moshi’s 2nd-generation USB-C Digital Audio Adapter with Charging. Like all MfG products, the adapter has been tested and certified by Google to ensure compatibility and performance.